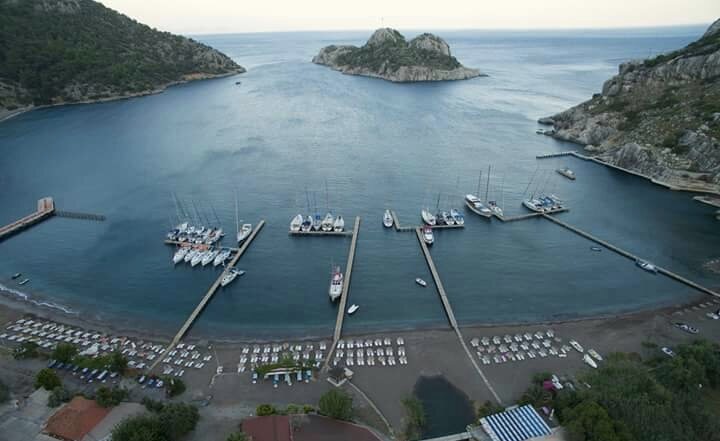 For most of our clients, whether they are sailing East or West from Marmaris, Ciftlik is a popular 1st night destination. As we do try to get you onboard and out sailing as soon as possible Ciftlik is a good choice as it is approximately 12 nm from Marmaris (2 hours under motor) it gives you time to learn about your yacht and enjoy a great sail on the way. Cousins Engin & Yasar are the owners of Azmak Restaurant which they opened a few years ago. They are located in the middle of Ciftlik bay. Both Engin & Yasar grew up in the restaurant and yachting business, this is reflected in the excellent service they provide. 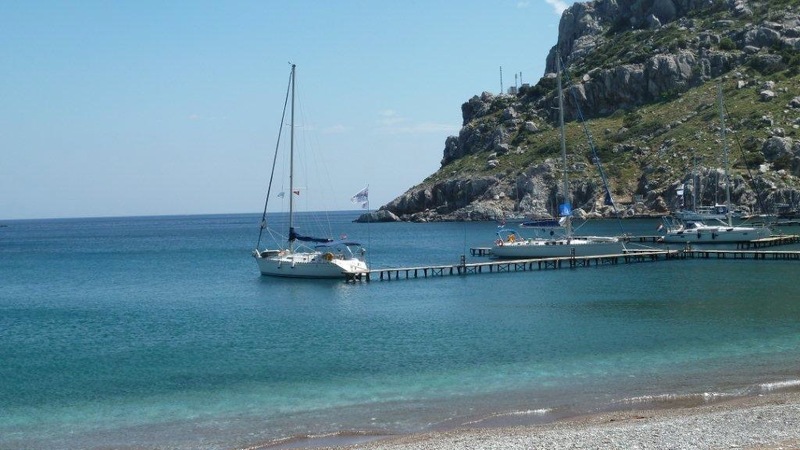 This restaurant is so popular with Yachtsmen, we will call them ahead to reserve a berth for you. 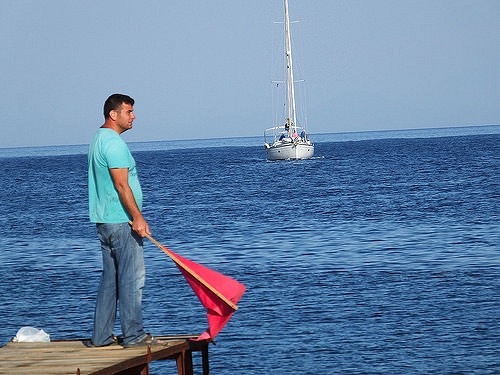 Yasar will be waving a green flag (sometimes a red flag) to direct you onto the jetty. He will amaze you with his ability to help you moor. There is no charge for mooring both water and electric are free, which they have on the dock. From your yacht dive straight in for a refreshing swim. If you prefer take advantage of the free sunbeds on the beach and relax. The restaurant is one of the best in the area. We especially recommend the fish although all of their food is always fresh and delicious. Facilities include free WiFi, toilets and showers. Another great service on offer is they have a well stocked market which is a great way to provision your yacht and a nicer alternative to shopping in the bigger supermarkets in town. They stock all the usual items, dry goods and chilled foods. It is particularly good for fresh fruit and vegetables, just let them know what you want. Comments from our clients so far this year have been very complimentary, with several that have returned for their last night as they enjoyed it so much. 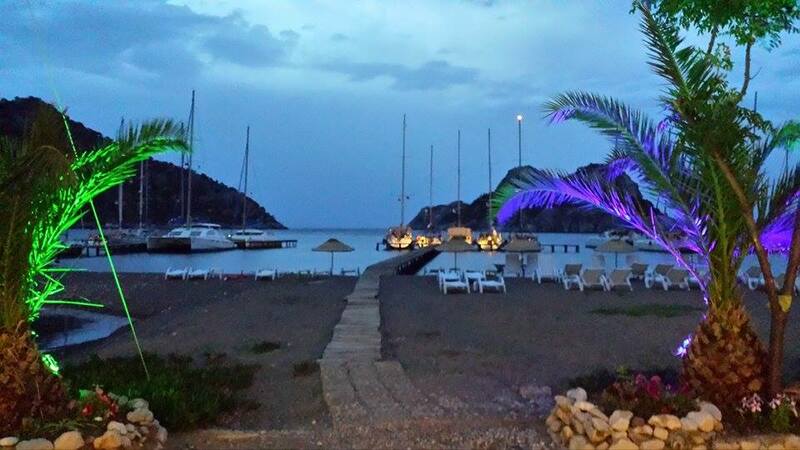 Ciftlik“First night – Ciftlik. 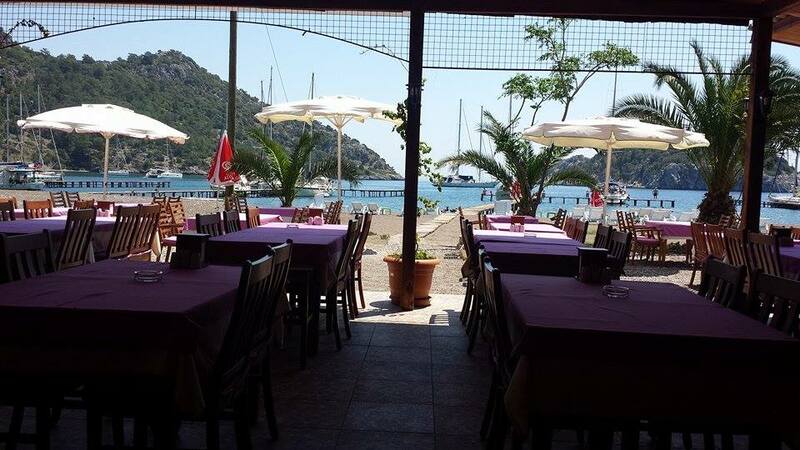 Azmak Restaurant is great – good help mooring and great food. So good we went back for our last night”.